We are pleased to announce Kailani’s 2020 Cruising Routes are now available and can be seen on our website. The year starts on the Grand Union Canal travelling down to the London area. Experience the Braunston and Blisworth tunnels, visit the Stoke Bruerne Museum, visit Bletchley Park, home of the WW2 code breakers – or one of the many mooring points along the way. We offer cruises that take us along the Paddington Arm to Little Venice, the hub of the London Waterways and then on to the Regents Canal taking us through London Zoo and Camden with time at the London Canal Museum in Battlebridge Basin. 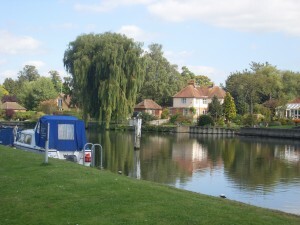 Later, we head on to the River Lee and continue to Ware in Hertfordshire. 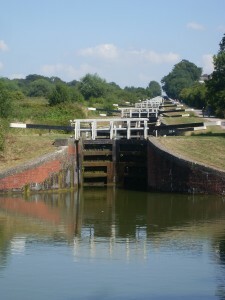 This lovely Navigation is different to the canals as it is generally wider with fewer locks. Our River Thames cruises go all the way to Lechlade, the furthest point of navigation. We take in Hampton Court Palace, Runnymede, Windsor, Henley, Abingdon and Oxford along the way. Our 6 night London Ring (City Sights) cruises cover the Paddington Arm, Regents Canal and the tidal stretch of the Thames from Limehouse Marina. We pass all the London favourites such as Big Ben, The Houses of Parliament, London Eye, Tower of London and travel under Tower Bridge. 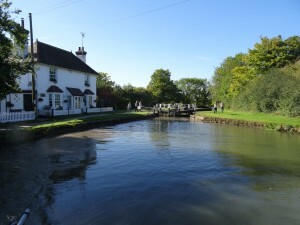 We again offer cruises on the Kennet and Avon Canal between Reading and Bristol. This popular cruising area includes Newbury, Kintbury, the magnificent Caen Hill flight at Devizes, Bradford on Avon, the Avoncliff and Dundas Aqueducts, Bath and Bristol Harbour. As usual, guests looking for longer journeys can join 2 or more cruises together. If a specific route interests you, we suggest making an early booking. We don’t like to disappoint – but when it’s gone, it really has gone!